Much has been said about the ‘bank 3.0’ landscape. We all now know that the Generation Y consumer, or the ‘digital native’ customer, demands a new type of banking. 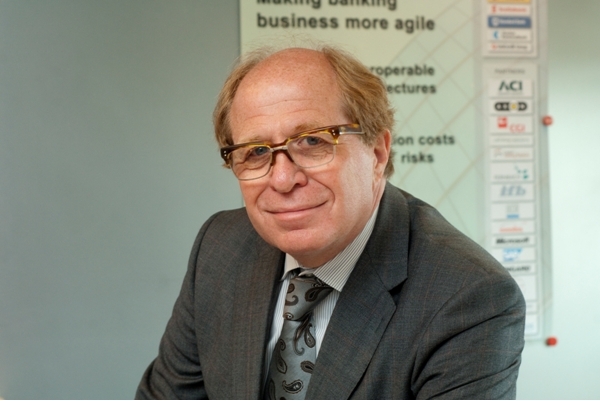 From on-line, any time banking, to mobile payments, the face of banking is changing accordingly, writes Hans Tesselaar, executive director, BIAN. Just one example can be seen in changing attitudes towards in-branch banking; in 1995 the average European consumer made 2.21 visits per month to the bank. By 2012, that figure had dropped to just 0.26 visits, which equates to just 3.2 visits per year. On the face of it traditional banks should be well-placed to tackle these new customer challenges and demands – these are big organisations with significant IT departments to back them up. Yet, in reality, banks are shackled by the monstrous, archaic IT systems that underpin operations – costly to renew and volatile in the face of upgrades, core system renewal is a significant problem facing high street banks. While this has long been the case, the cost and risk associated with changing these systems often breaks the business case for upgrades – add to this the fact that all banks are impacted by the same problem, and we have an even (or level) playing field of inefficiency. That is, until recently. The changing banking landscape has paved the way for a new wave of challenger banks – retail banking alternatives, entering the high street and shaking up the status quo. The likes of Mark & Spencer, Tesco, ING Direct and Metro Bank are surprising the masses by proving to be quite the competitors to the more traditional financial services players. Not only do they offer a more personalised customer service, they also offer more innovative products and more competitive pricing structures. Combine this with low levels of customer trust and loyalty in their existing banks – and the looming account-switch deadline – and it’s easy to see why traditional banks could be beginning to worry that the battle for the customer is not one they are going to easily win. What’s more, evidence suggests that traditional banks don’t have the arsenal to put up a decent fight. Much of the competitive edge of the new players is a direct result of their shiny new IT systems. By comparison, the more established players are having to get by with their legacy systems – and plugging the majority of their IT budgets into patching these up. For example, recent statistics from Intellect, an organisation representing the UK technology industry, show that at present only 4% of total bank IT budgets are being spent on innovative non-regulatory changes and upgrades. In the meantime their young challengers can focus IT budgets on innovative and exciting new products geared up to serve the Gen Y digital customer. The good news for more established banks is that there is an alternative IT solution. Increasingly, banks and software vendors are appreciating the art of collaboration on matters of IT. My personal belief is that the industry-wide adoption of open banking IT standards is the key to helping banking players tackle the problem of over-complex IT landscapes. For example, at present, if a bank decides to launch a new product the process is slow, clunky and inefficient; it’s hard to make the most of a market opportunity because the IT infrastructure slows banks down. This speed to market can make the difference between profit and loss. This begs the question – does every single piece of banking IT need to be unique? The answer is no – in fact, many banks are already implementing standard packages, choosing to retain their competitive position with front-office offerings as opposed to their back-office technology. The fact is that proprietary technology was once seen as a competitive advantage. However, nowadays, it is more likely to weigh banks down – and this is a weight that the new players do not bear. The emergence of new players doesn’t signal the end for the traditional banks – indeed, challenger banks still have a long way to go to reach the levels of market dominance of the big players. But there is no doubt that the more established players need to think about their strategy if they are going to go into battle with their younger counterparts. The customer is up for grabs – let this be the call to action that banks have long needed. Drastic changes need to be made to their IT landscape and now is the time to act to stay or become competitive again. The Banking Industry Architecture Network (BIAN), a not-for-profit fintech industry body, has launched its latest release of its service landscape. Termed SL 6.0, the framework is designed to provide a “globally standardised and simplified” banking architecture structure, using a service-based architecture. The Banking Industry Architecture Network has gained its first member in the Middle East with the addition of Commercial Bank of Qatar to its roster. BIAN – the Bank Industry Architecture Network – has made further progress in its efforts to promote banking system standards internationally with the US First Niagara Bank and Computer Sciences Corporation and Japan's Nomura joining as members. The Banking Industry Architecture Network has announced six new members including ACI Worldwide, Atos, EY and Zafin. Its global network now numbers 58 banks, service providers, software vendors and academic partners. An online digital library containing over 65 standardised API definitions. Banking Industry Architecture Network publishes updated version of its standardised global IT architecture model.